IAFP Lunch and Learn schedule. Join IAFP the last Thursday of every month from 12:00-1:00pm CST and earn FREE CME. Next up Thursday, September 24, 2015, 12:00 pm - 1:00 pm CST - It Might Just be Fluid? - A Closer Look at Newborn Hearing Screening, Presented by Daniel Morra, MD, Right from the Start Pediatrics, Breese/Shiloh, IL. Register now! Active and Life members are reminded to vote for elections by 11:59PM on September 13. IAFP Active and Life members should have received an email on August 12 September 2 with a link and online voting instructions. Please check your spam or junk files. 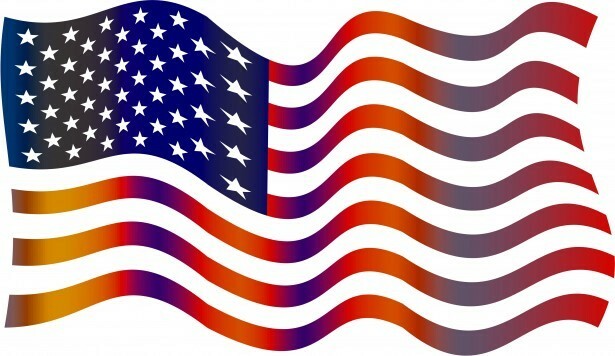 All members are welcome to learn about the candidates on the website. The 2015 annual meeting is a unique opportunity for IAFP members to learn, collaborate and expand their horizons. 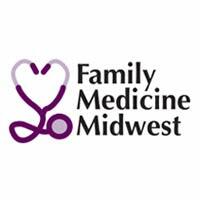 The meeting will be co-located and intertwined with the Family Medicine Midwest Conference, uniting 12 states in a Midwest regional effort to attract the next – and larger – generation of family physicians. The theme truly sums up our specialty: Celebrating Diversity: Our Patients, Our Communities and Ourselves. CME programming will be targeted to all learners and delivered by presenters from around the Midwest. Two incredible plenary speakers will kick off each day: Wanda Filer, MD, MBA, FAAFP, soon-to-be AAFP President, will open on Saturday and Chicago’s own Fred Richardson, MD, FAAFP will share his story on Sunday morning. There are three SAMs workshops on the schedule (Hypertension, Asthma and Cerebrovascular Disease), and five Friday pre-conference collaborative seminars covering an incredible span of currrent issues. Learn more about the meeting here. Thank you to our incredible meeting supporters. Learn more and link to them on the IAFP annual meeting information page. 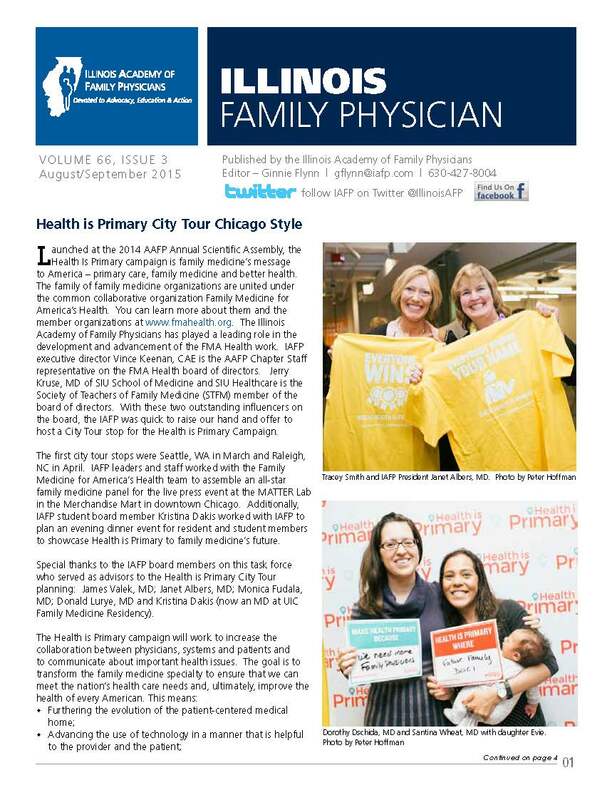 The August/September issue of Family Physician magazine has full annual meeting details. Active members should have received their copy in the mail, along with a brochure for the Family Medidicine Midwest Conference. Click here to view. Join other family physician women leaders in forming a new interest group. The purpose of Women in Leadership interest group is to support family physician women leaders in Illinois through mentoring and discussion groups, in face-to-face meetings and virtually. Alvia Siddiqi, MD, IAFP’s 2015-16 president, is organizing the Women in Leadership interest group. Want to join? Please send email to Vince Keenan,[email protected]. The CDC's "Prescription Drug Overdose: Prevention for States" program will invest $20 million to help 16 states reduce prescription drug overdoses. States will be able to use the funds to improve prescription drug monitoring programs, implement prevention programs in communities, develop surveillance systems, and help providers, insurers and health systems make more informed decisions on pain medication prescribing. Learn more in AAFP News Now. Meanwhile, today's Chicago Tribune included an article about the grant, which includes quotes from IAFP Executive Vice President Vincent. D. Keenan, CAE on how additional resources will help primary care physicians better assist patients that rely on prescription pain medications. Electronic cigarettes, or e-cigs, continue to dominate the landscape. Sadly, use among America’s youth is on the rise. AAFP submitted a letter to the U.S. Food and Drug Administration in response to their request for comments. AAFP strongly supports graphic warnings on all nicotine delivery devices, as well as child-resistant packaging for liquid nicotine and related products. Register now to attend the AAFP Family Medicine Experience (FMX) in Denver, Colorado. Get the very latest in family medicine from family medicine experts. Share joys and challenges with more than 5,000 of your peers from across the country. Gain almost a year’s worth of CME in less than five days. Attend FMX (formerly Assembly) in Denver, September 29–October 3. Attendees can earn up to 35 AAFP Prescribed CME credits. If you’re registered for AAFP FMX, watch your email inbox and junk folder for an e-vite to the Illinois Chapter President’s Reception on Wednesday, September 30 and RSVP if you can join us! 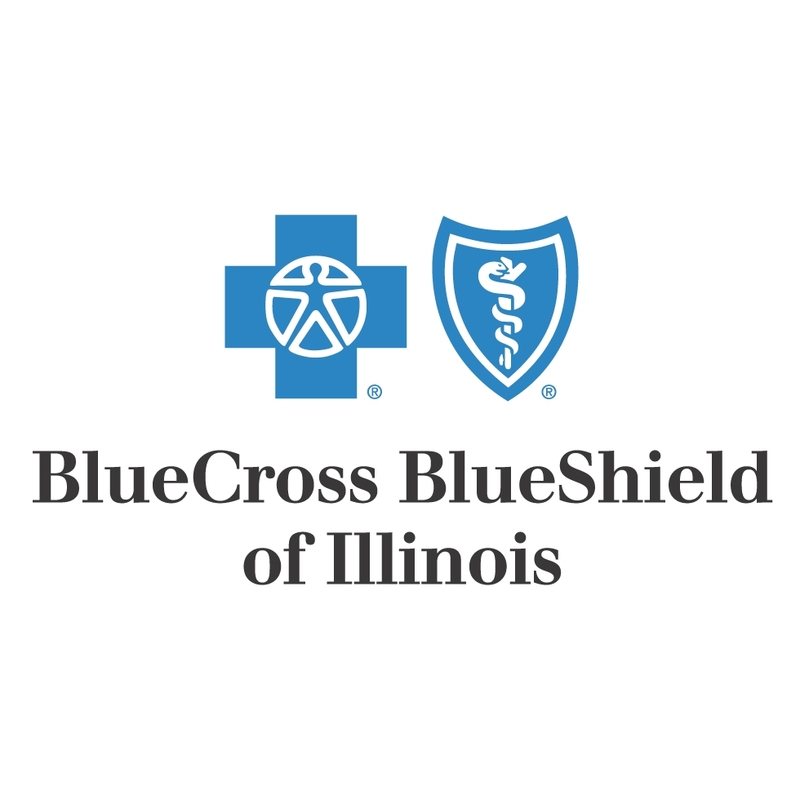 September 24 in Addison – FREE event!DuPage County Health Care Providers and Vaccines for Children providers are welcome to attend this free immunization seminar organized by the DuPage County Health Department, IAFP, and partners. Earn up to 4.00 AMA PRA Category 1 credits at this half-day seminar. ICAHN is offering its 2015 Practice Management Boot Camp in two different locations and on two different days for your convenience! October 23 in Oak Brook. Four (4) continuing education credits/contact/clock hours will be available for health care professionals. Learn more or you can register today. The SIU Board of Trustees has voted to appoint Jerry Kruse, MD, MSPH, as Dean and Provost for Southern Illinois University School of Medicine. The appointment is effective January 1 and is pending a final contract. Kruse, a professor of family medicine and IAFP member, has been Executive Associate Dean of SIU School of Medicine and Chief Executive Officer of SIU HealthCare since 2013. He first joined the school in 1984. 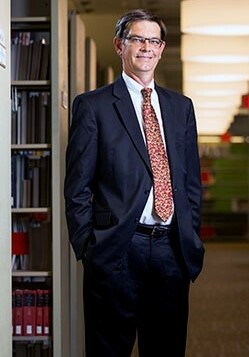 "Dr. Kruse's knowledge of the medical school, his leadership experience and his commitment to serving the region position him to continue the School of Medicine's positive trajectory," said acting Southern Illinois University Carbondale Chancellor Randy Dunn, who is also the president of the SIU System. "He brings significant expertise in education and patient care as well as strong knowledge in health care policy and the population health needs of our area." Kruse was the IAFP Family Physician of the Year in 1991.